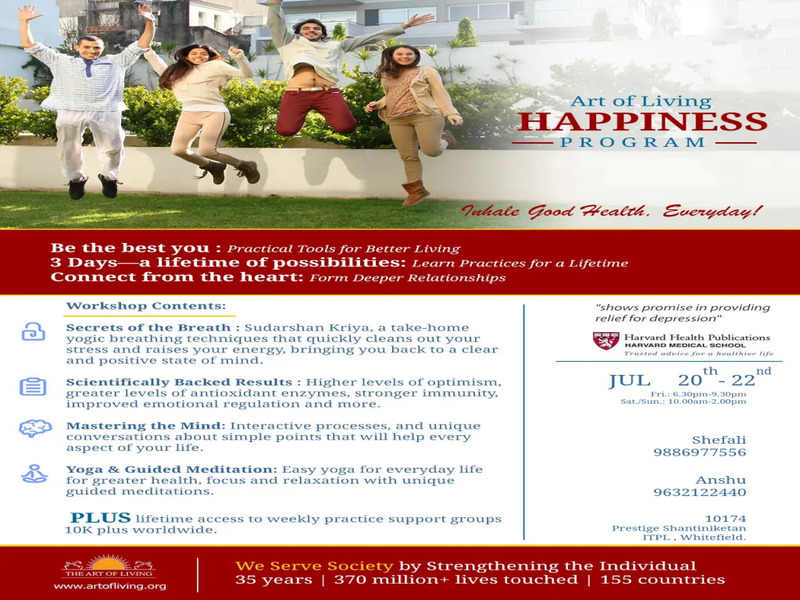 Art of Living "Happiness program"
Inviting you to the Art of Living "Happiness Program"
1. Breathing Technique "Sudarshan kriya"
10. Once a week Free session , Lifelong. Age group : Anyone above 18years.